Guide: bulk branded jelly beans prices. 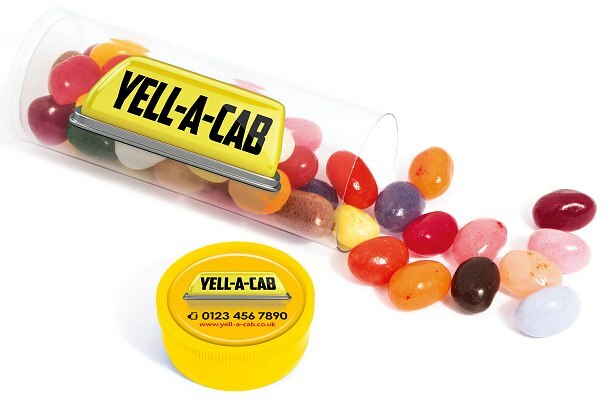 Logo branded jelly beans in a custom printed 85 x 33mm clear plastic tube with a logo printed coloured stopper at one end. Filled with 55g of jelly beans the wrap print area is 82 x 81mm.